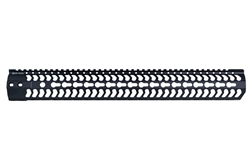 Fortis SWITCH™ is an extremely lightweight, yet robust free float rail system designed for the DPMS high profile 308 platform. When designing the SWITCH™, we wanted a handguard that was easy to install, but also be able to quickly change rails for a variety of mission or competition specific setups. The rail features a brand new patent pending locking mechanism that allows tool-less removal of the rail. 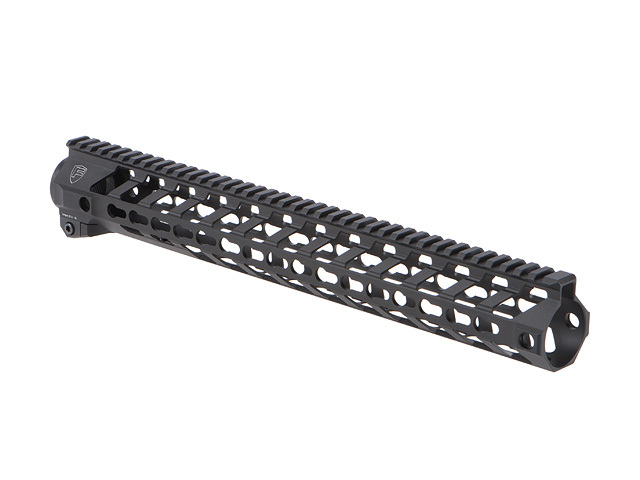 The rail features keymod slots, QD attachments point as well as a full picatinny rail on top. 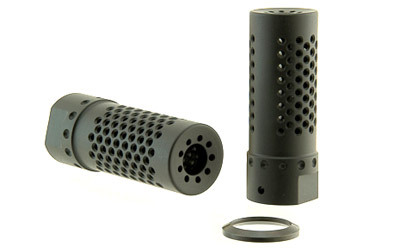 The rail design not only looks great, but is very functional in your hand. The piece adds minimal weight to the rifle and you won't be disappointed!DPMS High ProfileMaterial: Aircraft Grade 6061-T6 Aluminum / Locking handle: 7075-T6 AluminumLength: 15.75”Weight: 12.1 ouncesConttinuous Top RailRotation Limited QD SocketsKeymod at the 3 & 9 o'clockMil. Spec. Hard-coat Anodized4140 heat treated barrel nut (1-7/16 X 16 T.P.I. )Clamp torque setting 32 in.-lb.Made in the USA!